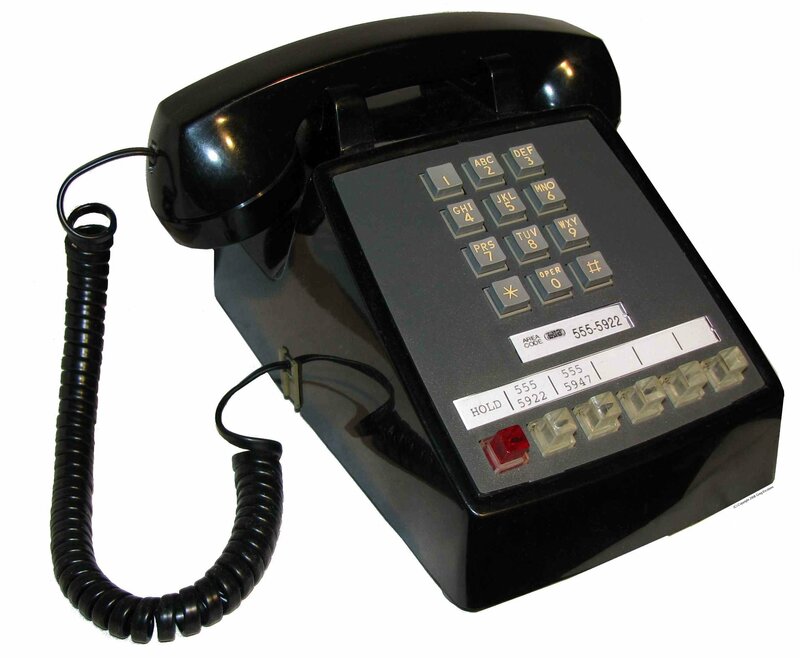 This phone is sometimes referred to as a '6 button' phone; one hold button and 5 line buttons. The phone's cable is a standard 25 pair (50 pin) male Amphenol, with unused wires usually spared out inside the phone. In some cases, the wires (and pins on connector) are omitted completely. All buttons have provisions for lamps, though usually the hold lamp is not supplied, and unconnected (though screw terminals are provided). Phone includes a built in ringer (rings on ~90 VAC/30Hz) and buzzer (~18 VAC/60Hz) that have their own dedicated pairs. 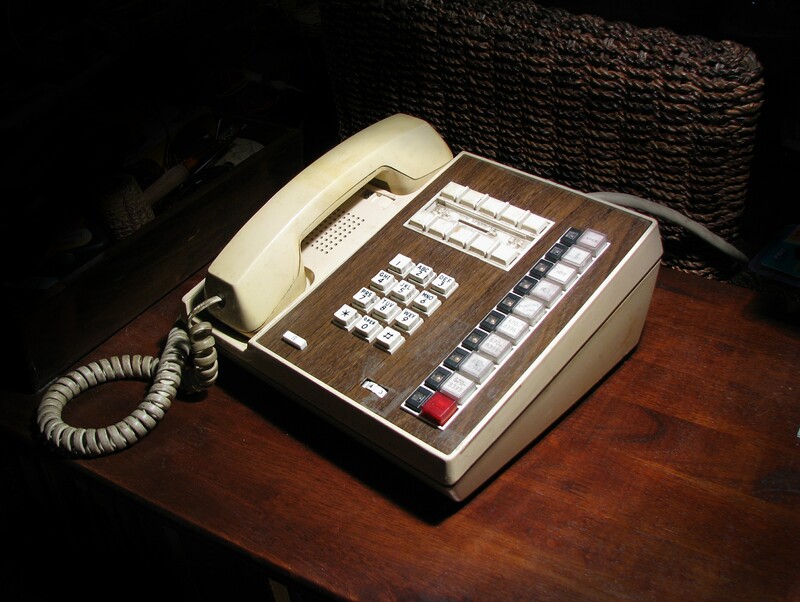 This phone is sometimes referred to as a '10 button' phone; one hold button and 9 line buttons. The phone's cable is a standard 25 pair (50 pin) male Amphenol, with unused wires usually spared out inside the phone. 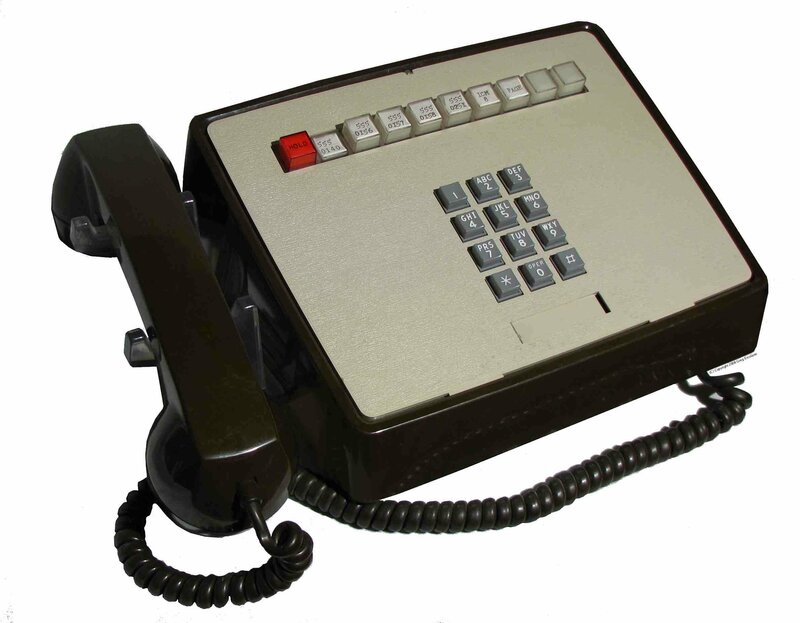 Phone includes a built in ringer (rings on ~90 VAC/30Hz) and buzzer (~18 VAC/60Hz) that have their own dedicated pairs. A small screw inside the phone on the hookswitch lever can configure whether hanging up the phone causes the last-selected line buttons to automatically pop-up, or remain down. A separate control box, known as a "KSU" is needed to manage the lines, lamps, ringing and hold circuit. This phone is not a 1A2 system, but it is from the same era. 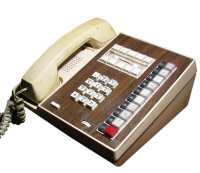 Com Key 416 is a 4A phone system that was released in 1975, and has many features the older 1A2 phones don't have. The Com Key 416 phones are standalone-alone system that don't use a KSU, and are not pin compatible with 1A2.